The Brit Pub in Cwmavon held its 4th beer festival on 22-23 June and a number of our members lent their support to the festival on both days. We went along on the Saturday, taking the train to Port Talbot and enjoying the river walk in the fine weather to the pub, where we joined up with friends from the Neath Port Talbot branch and others from Swansea who had made their way by bus. We made our way to the spacious beer garden where we commandeered an area in the shade. As Alan joined us from the bar he managed to step on a poor black labrador’s paw, causing a minor commotion before even taking a sip! Once the dog had settled back after much pampering, we settled down and enjoyed a selection of beers from Wye Valley, Grey Trees, Mumbles, Borough, Hobson’s and a few more. 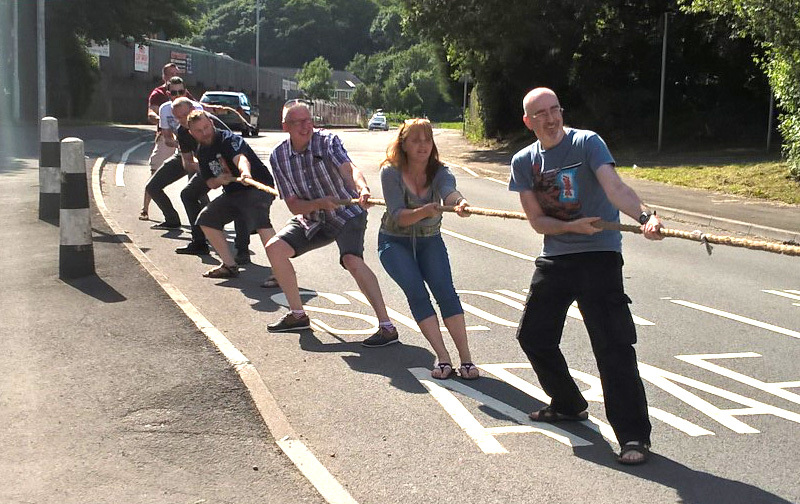 Late afternoon came the call for teams to enter the tug-of-war competition – there was no way we were going to enter (! ), but strolled out to the car park to watch the action. The competition took place on the road alongside the pub, with traffic being halted during the competitive rounds. After a few rounds, the call came again for a team to enter to prevent one from going through with a bye, so without any training or experience other than pulling handpumps, a combination of Swansea and NPT members were “roped in”, including the only female to participate. A truly valiant effort led to our team winning the first round best of three, but were overcome by the competition winners to be placed second. 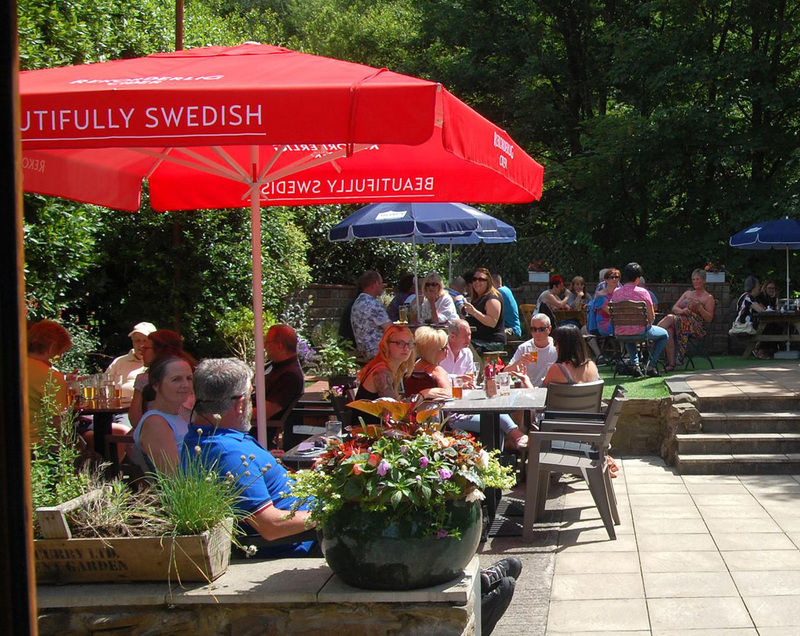 We retreated to the beer garden for a well-earned pint or two and to enjoy the rest of the afternoon and early evening before heading back along the river to the Lord Caradoc in Port Talbot and then home.